After every loss we usually hear the same thing: The San Antonio Spurs will be fine because Gregg Popovich will figure out what’s wrong. But in this playoff series against the Oklahoma City Thunder that seems to be quickly slipping away from him and his team, it’s time to point some fingers at the head coach and not just the players who are obviously more than slightly overwhelmed by what’s going on. The Spurs’ plan in dealing with the added threat of Serge Ibaka seems to be bombarding from beyond the arc and moving the ball quickly. While it works for certain amounts (short) of time, the Spurs were discouraged quickly by the Thunder’s athleticism and being able to handle the great start by ending up with a six point lead in the first quarter. The Spurs finished with 9-of-27 from beyond the arc thanks to some great garbage time shooting from Cory Joseph and Matt Bonner, but that won’t win Popovich any games. He was clearly disappointed with his starting lineup. Pulling everyone from the floor in the middle of the third quarter wasn’t just about giving up and resting his starters. It was a statement to them that he doesn’t mind trying to win in other ways with other players, even if it kills his chances. It was also a way to test Scott Brooks, who probably didn’t show too much confidence by using his starters more than any other coach would at that point. So Popovich can enter next game with the same thought in mind – that home court plus actually making shots at a higher ratio than in the previous game will be enough. Some time simply making shots changes everything – it stretches a defense, it brings confidence to players and it doesn’t create opportunities for the Thunder to run. The Spurs scored 0 fast break points but gave up 21 off of their own turnovers. Sometimes basketball is a simple game, and trying to dig deep into stats and tactics over-complicate things. But an other angle would say the Spurs, no matter how well they shoot in the next game, are in a bind. They can’t get enough open looks at the basket because they move the ball too slowly, and aren’t able to move the Thunder’s defense around. 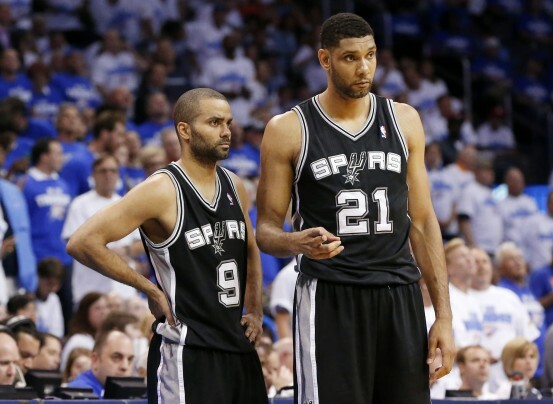 It seems that as long as we’re going to see Tim Duncan and Tiago Splitter or Boris Diaw on the floor in that pairing, the Thunder’s advantage in terms of quickness in the paint remains. Popovich isn’t a fan of small ball because he hardly needs to use it with the team he has built. However, the Thunder are a team that often struggles against small ball teams that force Brooks to give up on one of his big men, which really hurts the Thunder’s defense. 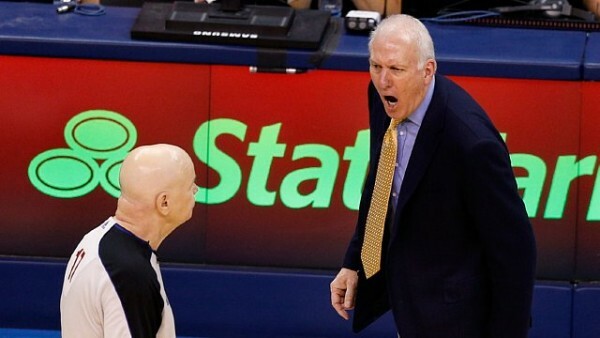 Popovich isn’t stubborn, and is creative as it gets. Even if it means less minutes for Duncan or Splitter, it might be time to test a new approach, maybe only for a few minutes, before things truly become desperate.